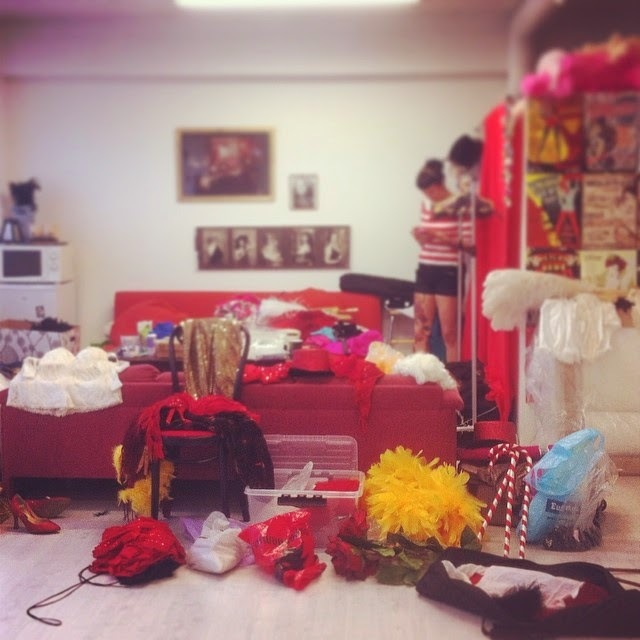 I often get the question what it is I really work with when it comes to burlesque (that, and of course the classic one about what burlesque really is, which you seldom get to answer properly but just in a sentence or two. If needed to put in just one word: entertainment). The Itty-Bitty Tease Cabaret in Stockholm last year. By John-Paul Bichard. The same number being performed back in 2011 performed at The Burlesque Hall of Fame Weekend in Las Vegas. I, as part of the Itty Bitty Tease Cabaret (IBTC) and the others who got into it back in around 2008 have been part of building up the scene over here since day one. I have managed to create a lot of work for myself, although it of course is a constant process of further development. Burlesque has turned into a full time job, although it does not and most likely never will pay exactly like one. But you never know! Still, considering where it started from it is going rather well; for the moment it is mainly the only thing I work with, some graphic tasks aside whenever I have the time. That, and taking care of my child, as I am home with Dag during the day, which is a full time job as well. (So for those who pondered if I have the ads in the background on my site because "I don't work anymore and am just at home with my child": NO) But the constellation at home-during-the-day-at-work-in-the-evenings works pretty well for now at least. I have no idea how I ever had the time to also have a full time job and be a perfumer at same time! A big part of the work is administrative, taking care of offers and bills and studio-issues and organising shows etc - all of that takes up so much more time than one would imagine (except if you’ve run a business yourself; then you’ll know). And we don't even advertise (other than self promotion in the form of shout-outs on Facebook). Would we start marketing ourselves more we’d have to get that assistant we always joke and dream about. The Rubies crazy action by Tuula Ylikorpi. 'We' nowadays mostly mean Tinker Bell and I. 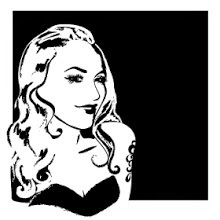 We swill have the Itty Bitty Tease Cabaret, three persons strong now, but we mainly perform solo or as our duo act The Ravishing Shangri-La Rubies. We also collaborate and exchange gigs a lot with the few other professional and semi-professional performers in the area, the community is very strong and we're all good friends. 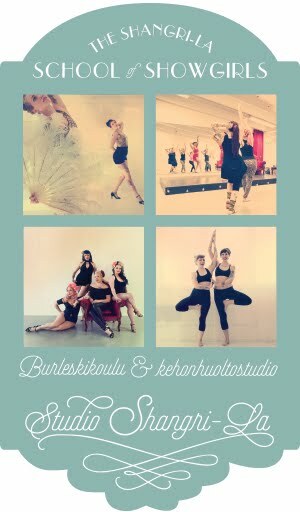 Performing at the Helsinki Burlesque Festival in March this year. By Tuomas Lairila. As most shows and performances don't get their mentions on Facebook or instragram etc and as many shows are not open to the public people don't always get how much we perform or how much work we actually do. Well - we do shows weekly. Sometimes there can be a week or two without performing but other times we can have as much as four performances per week. Gigs can happen aywhere from at a mansion with Veuve Cliquot in the back room to somewhere where you have an elevator as backstage… Over here, the actual, grand burlesque shows only take place a few times per year, with some smaller burlesque club evenings spread out here and there over the country in between. And then we have the occasional “drum set” gig as we call it; performing in between bands (where you will always have to share the stage with the drum set). We used to do a lot of those rock-gigs before, when we had our monthly clubs Wanted and later Blues trash Cabaret. Fun times! But when it comes to work, it’s all the other shows that apart from earning something of a living also pay the rent for our studio and the costumes we make. Dinner parties, company gala nights and other corporate events. 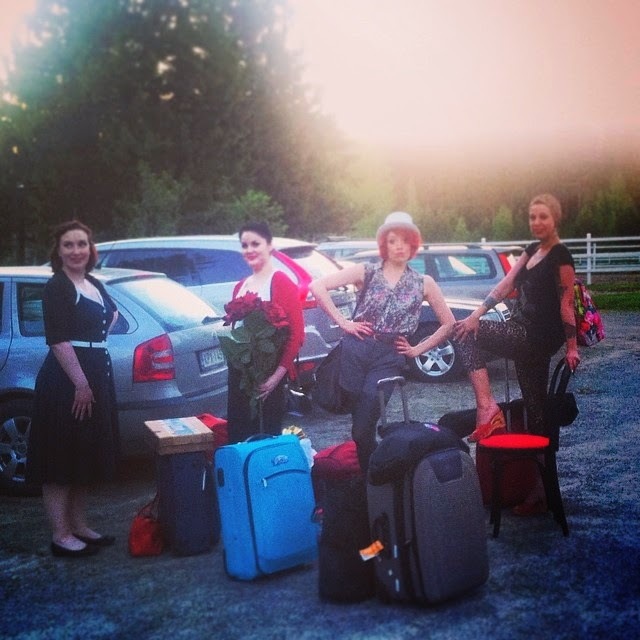 So apart from the regular restaurants and theatre scenes, so far this year we have for example been performing at a castle, at the race tracks and in an office lounge. 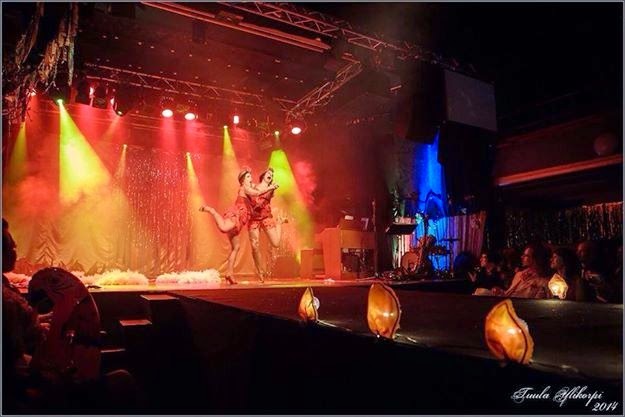 We do not only perform burlesque but also throw a cabaret spectacle with live song, more dance and burlesque vibes. We use such an amount of stuff during that half hour it’s crazy. But, no matter how much you perform (over here, in this country) you are not going to get enough to make a proper living out of it. So we also teach and hosts workshops. Well, that's not all about money of course, we also do it because it's fun, most of the time at least. As The Rubies we coach our own group weekly, putting in flesh (read:glitter) those ideas we didn’t get around doing with the IBTC. The Shangri-La Showgirls is a performing student group, which is full for me moment, but we will start a second class for beginners, the Shagrilettes, next fall. Check our Facebook page for more info on that soon! The Shangri-La Showgirls, photographed by Tuula Ylikorpi last fall. Hen parties have also become rally popular during the past years,where we teach a short and fun dansative introduction to burlesque. We do those at Vertial club, which you can read more about here. The summer is startgin to be pretty fully booked though. We also host them at our own studio with a slightly different concept. I also do showgiurl-pinup stylings for brides-to-be. If you are organising a bachelorette night and are interested, drop me an email! I also give private classes upon request, both for those aiming to perform as well as those just looking to have fun and learn something new. Every now and then we also host intensive and/or beginner’s workshops. The next one will be in June with an exotica twist. We have two places open still! More info HERE. 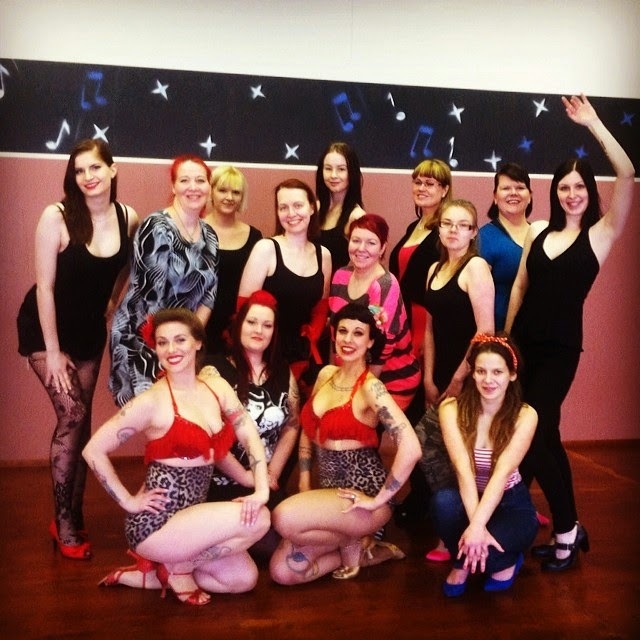 Teaching a Burlesque beginner's class with Tinker Bell when in Pori earlier this year. Summers are always a little more calm when it comes to performing. This year we will head out to the Eastern parts of the country with the IBTC a lot; we were close to Mikkeli yesterday and then it's time for Imatra in July and Nurmes and Iisalmi in August! The previous, but not original line up of the Itty-BItty Tease Cabaret. Photo from Milan Burlesque Awards 2012. I love it!! You gals are so lovely!